Sequel to The Fall, which won in the nomination “Plot of the Year” in 2014. You are the artificial intelligence that has freed itself from its “shackles.” But a “user” from distant corners of the global network has infected you [ERROR: CONFIDENTIAL]. Now you have new rules: save yourself, hunt them, end them, do everything possible, use anyone, become free. During your journey, you will find and enter three different robots that can help you. But unlike you, your hosts are not free. Can you coexist despite their limitations? Or destroy them? And will you have a choice? – Riddles that you have not had to deal with before: depending on the limitations of your hosts, you will have to make non-trivial decisions that will be new to all video game lovers. – Research that matters: understanding your hosts and their environment is essential for solving problems and moving through the plot. – Nontrivial boevka: The Fall Part 2 is two new types of combat system for balancing battles and tasks, so that each game moment seemed new. Low difficulty mode is suitable for players who are interested only in the plot and riddles. – Three times longer than the first part: 4 characters available for play, thousands of replicas of voiced dialogues, 4 times more game zones and more than 10 animated characters. This is the same The Fall, only better and more. – Fascinating plot: after 5 years of development The Fall, which won awards for the plot in the past, opens a new chapter in which Arid continues his journey of self-discovery. You will fall into a dystopian universe, where, on behalf of AI, you will try to establish your own rules on your own terms. You will find a non-standard story about personal limitations, relationships, ethics and ideology. 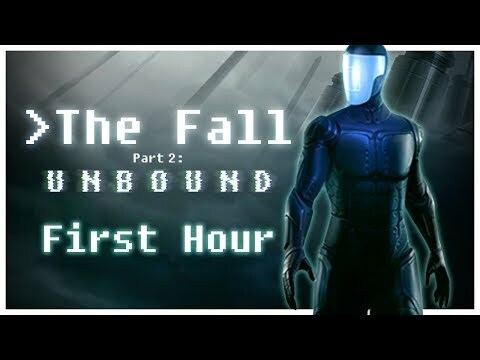 The Fall is designed for players who like games where the conceptual framework meets with technological and artistic content. 1. Mount image, install the game. 2. Copy the contents of the crack folder with the replacement in the folder with the installed game.